HONG KONG—Englishman David Bolt and Malaysian girl Guarini Khalid will be in action this weekend to defend their Singles titles at the Hong Kong International Bowls Classic. 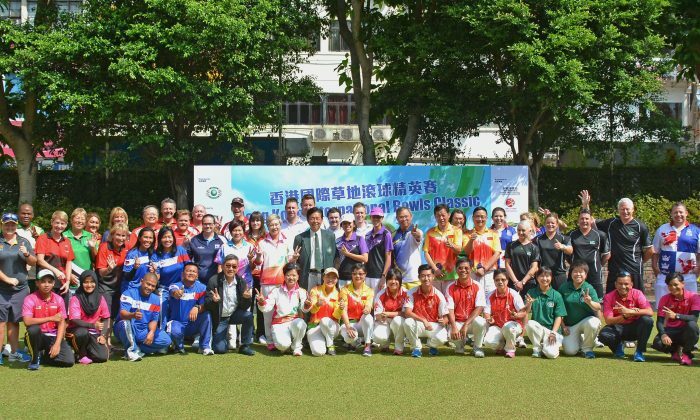 Perceived as one of the best outdoor lawn bowls competitions in the world, the Classic will be held from Nov 11 to 19 at Club de Recreio, Kowloon Bowling Green Club and Kowloon Cricket Club. Bolt and Khalid will face bowlers from Australia, Canada, China, England, Ireland, Malaysia, New Zealand, Norfolk Island, Philippines, Scotland, South Africa, Thailand and Wales, as well as elite bowlers from Hong Kong, on their way to defend the title. Bolt, who was in the England squad to Australia for a series of test matches earlier this year, will start his defending journey against Singapore international Terrence Lee, who represents Hong Kong Football Club now. His first game will be played at Club de Recreio. Other hot favourites for the men’s competition include World U25 Singles champion Ben Twist from Australia; Commonwealth Games silver medalist (Pairs) Hizlee Rais from Malaysia; World Fours champion Blake Signal from New Zealand; World Youth Championship winner John Fleming from Scotland; this year’s World U25 Singles champion Marc Wyatt from Wales and the popular Gerry Baker from South Africa. Khalid, who defeated the defending champion Dorothy Yu in the final last year, has achieved a number of good results in the last few months. She won a gold medal in Triples at the SEA Games in August and followed with another gold in Fours at the Asian Championship in New Delhi last month. She will play Doris Cheng from Yuen Long Lawn Bowls Club in the first match. She will face strong challenge from compatriot Siti Zalina Ahmad, a former world number one player who won two Singles title at the Commonwealth Games, a World Cup singles title and a record 10 gold medals at the Asian Championship. Another strong challenger for the women competition will be Carmen Anderson from Norfolk Island. The well-decorated lady from the tiny Pacific nation has won the World Championship, World Indoor Championship and three Asia-Pacific singles title over her 33 years of bowling career. Local player Dorothy Yu will also try to win back the title she won two years ago, after returning from the World Champion of Champions in Australia in which she finished seventh. Her first match will played against Hong Kong international Helen Cheung at Kowloon Bowling Green Club. The Singles is a knockout competition that will be played this weekend, with the finals at KBGC on Sunday afternoon. After that, the Pairs will commence on Monday for a week, with the finals in the afternoon of Nov 19. Same as last year, all finals will be broadcasted live on YouTube. Bowlers around the world may visit http://www.hklba.org/live to enjoy the finals. 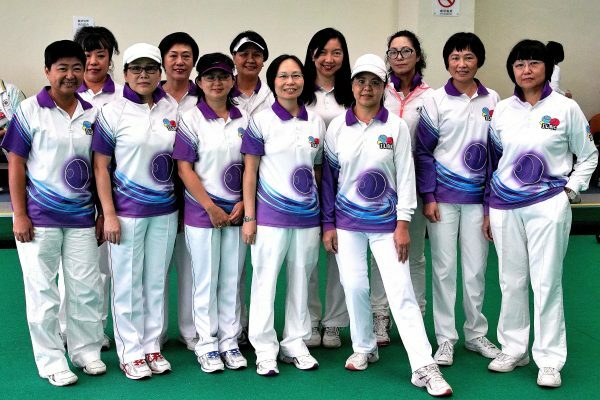 Island Lawn Bowls Club (ILBC) won their first ever top-flight title in the women’s Premier League after edging out Hong Kong Football Club (HKFC) by a point. The two teams, which were separated by a point before the final game last weekend, Nov 4, both won their home games 8-0, which was enough for ILBC to win their first ever premiership trophy since the club was established in 2003. It was not a happy day for HKFC as their B team lost 8-0 at the already-relegated Club de Recreio, which allowed second-from-bottom United Services Recreation Club to surpass them with a 4-4 score against Indian Recreation Club. HKFC-B will start life at Division 2 next year. Joining the elite division next year will be Tseung Kwan O Bowling Club who will make their debut in the top division, and Seabird Sports Club, who were relegated last year and made an instant rebound. The Hong Kong Classic will take place from Saturday Nov 11 to Sunday Nov 19. Matches will be played at 3 venues, Club de Recreio, Kowloon Bowling Green Club and Kowloon Cricket Club, with play continuing from 9am until 6pm each day.